Hansa created this exquisite Jaguarundi (also spelled Jaguarondi) with a great attention to detail. His plush fur is brownish-gray, he has a long body, a flattened tail, and beautiful facial details. 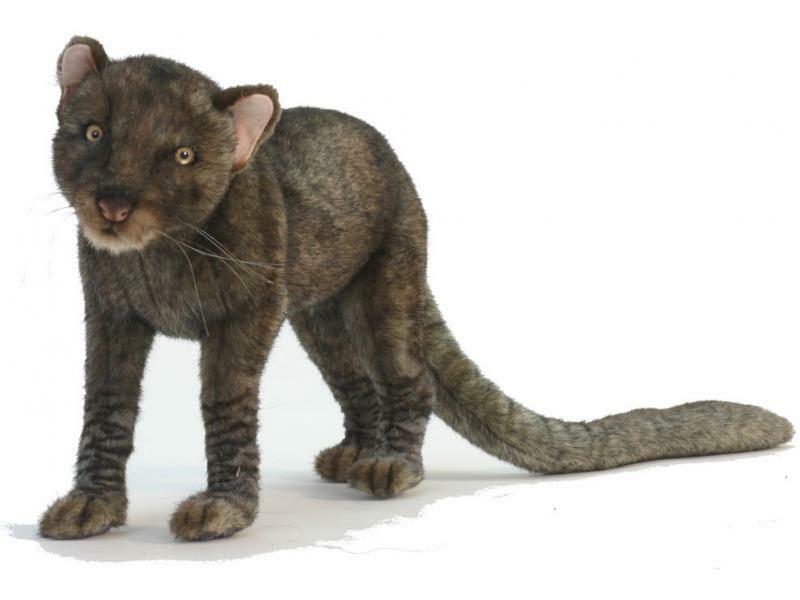 This stuffed Jaguarundi measures approximately 19.5 inches long, 7.5 inches wide, and 12 inches high.